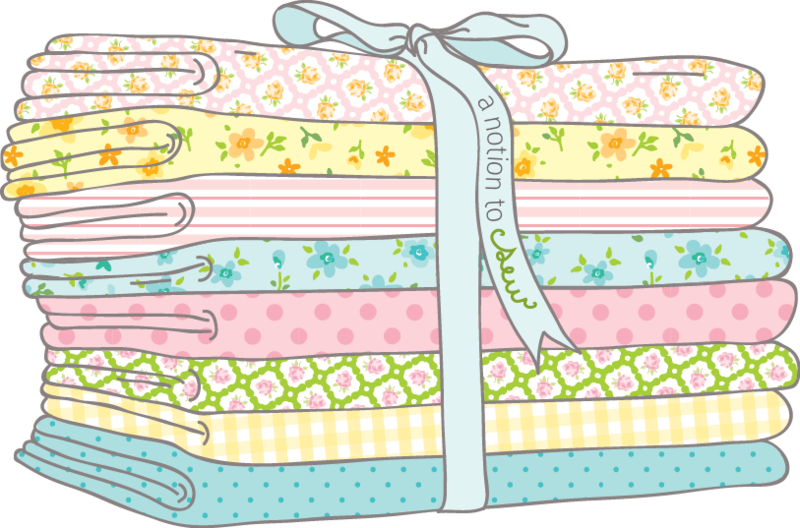 No doubt about it, quilts make a house a home. homey is elevated to cozy. 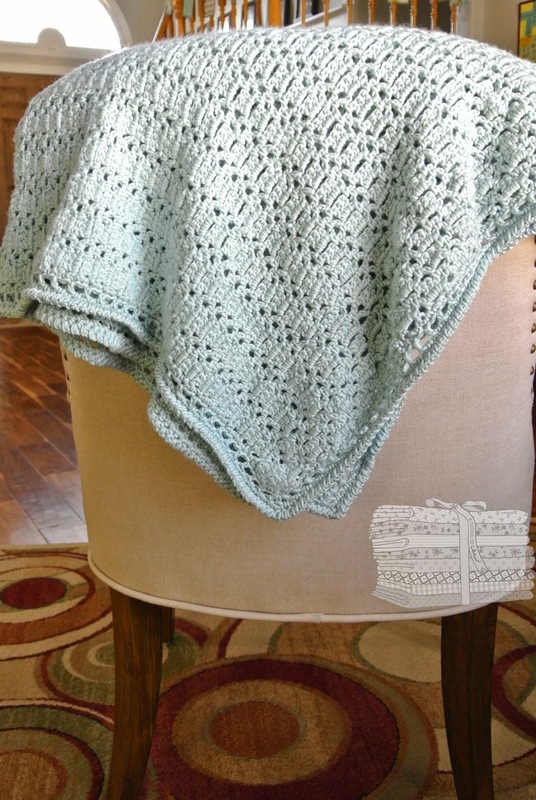 This one is from the Winter 2013 issue of Love of Crochet. in Igloo was the perfect frozen color to pair with the pattern. 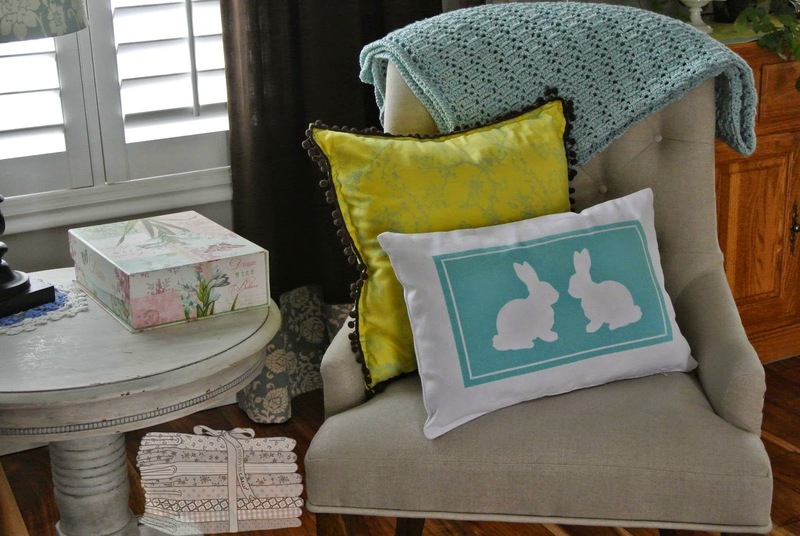 makes for a beautifully, soft, drapey throw. 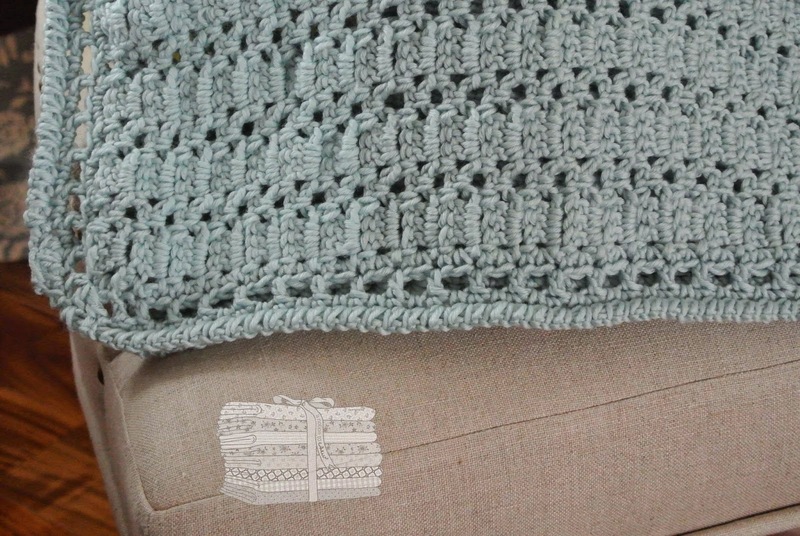 One feature that I've never stitched before is the reverse crochet around the edge. 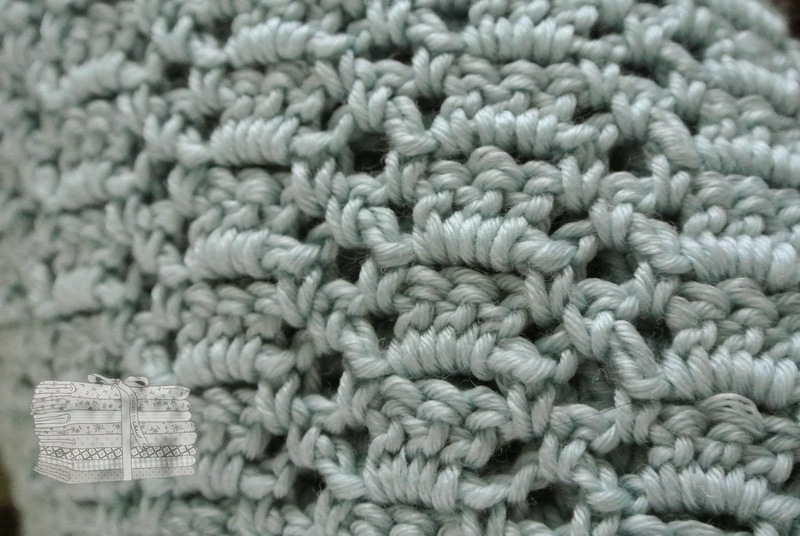 The pattern instructs to work a reverse single crochet around the throw. and I ended up crocheting a reverse double crochet. but I am pleased with the end result. My daughter commented that the edging finishes it off like binding on a quilt. Some You Tube videos proved to be helpful in learning this new technique. I love how it completes the throw. Have you ever done reverse crochet? I had never even heard of it until I stitched this pattern.